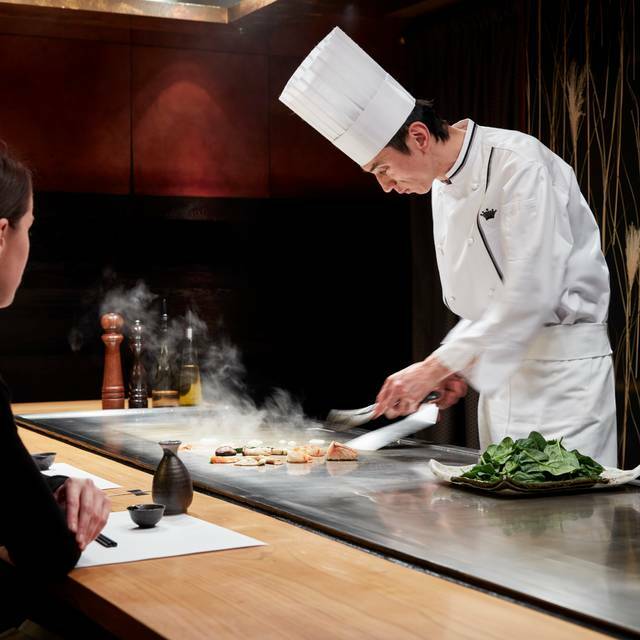 Koko features authentic teppanyaki and à la carte cuisine, and is famed for the quality of its sushi and sashimi. 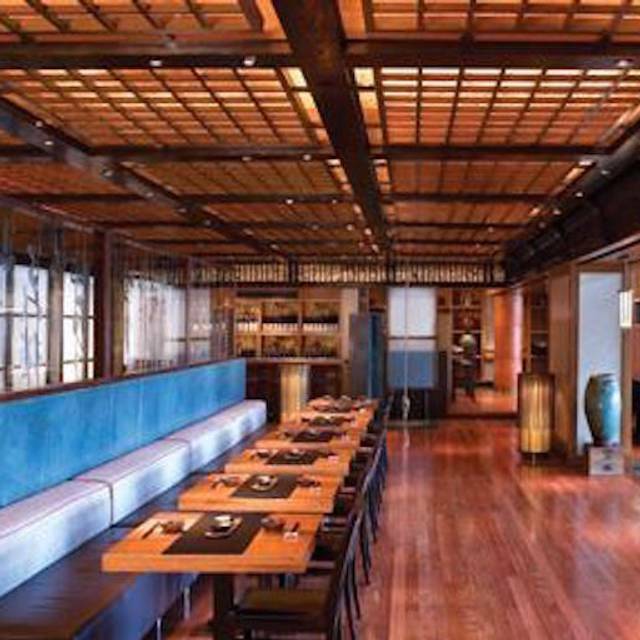 A sake bar offers the city’s best range of aged and exclusive sake from Australia and Japan. Grilled black cod, marinated by saikyo "Tsubu miso"
Flavours are average compared to other Japanese restaurants, especially considering what we are paying for the food. Always great coming here, food is always on point. View out to the Yarra was great, there were a couple of dishes on the set menu that weren’t to our taste though the others that were, were beautiful. If I went back I wouldn’t do the set menu but choose myself. That being said I tried a few things that I wouldn’t normally order and they were magnificent. The food was nice and the atmosphere lovely. The waiter seemed to be in a hurry! Have been going to Koko for quite a few years. Found with my most recent visit that the level of service from the staff has dropped pretty noticeably. Upon arrival, there was not any proper acknowledgement from the staff at the entrance. She merely said "two people A La Carte?" after I said hello and provided her my booking name and time. We ordered a chilled sake, and the waiter returned and proceeded with the sake and poured it into a sake warmer. Food quality was still excellent. Underwhelming experience. I specially chose this restaurant for the water garden expecting calm Japanese atmosphere. We were first placed at a table near a large family group with noisy children. We were moved at our request, to the main room near the pond but it was still quite noisy. Koko special was a huge disappointment - presentation was ordinary & the amount of fish was equivalent in all ways to a neighbourhood Japanese restaurant where the same dish would have been half the price. Great and prompt courteous service by Watress Candy. A delightful dining experience. Food was exceptional and service was outstanding. 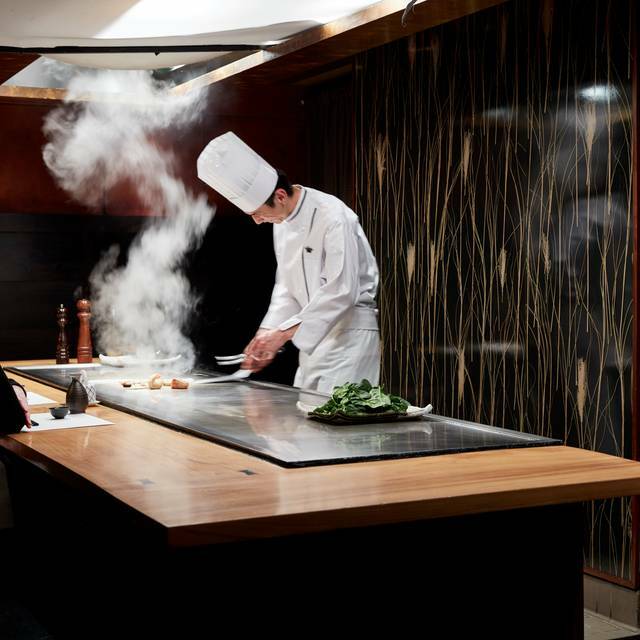 A must for lovers of fine Japanese cuisine. Our waitress Candy was absolutely incredible!!! She was so so friendly and had the brightest attitude! The food was spectacular as well, I can’t fault it. We ordered the Indulgence set menu and felt the food had been prepared long before being served. The ingredients I.e beef was very tough and chewy(inedible) very mediocre dishes. SERVICE - host and waiters insistent, rushed, focused more on their schedule," get them in get out" attitude, haphazard service, customer not important attitude. Great night! We did the tasting menu. The food was fresh and very well prepared. The sushi and sashimi plate was sensational as was the main course. I don't normally do Japanese so not all the dishes were to my taste but that was no fault of the restaurant. 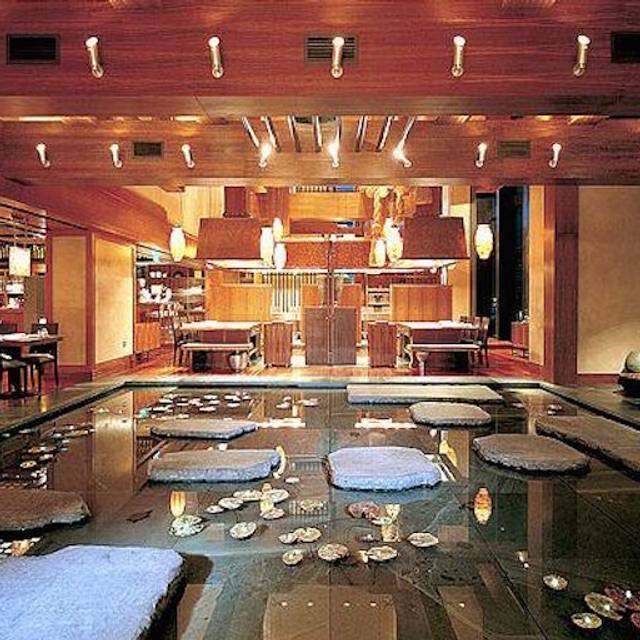 The pond is a nice touch. Next time we'll try a teppanyaki table. Beautiful spot to spend an evening. Fantastic food and service. We've been there a few times and will return. Menu is always a headache with such great choices and variety. Service level generally excellent except for our last visit where we had to pass some gentle reminders. Kids friendly place which is important for us and staff is very sensitive to their food allergies. Sashimi is always a winner and the grilled marinated black cod was just sublime. Will definitely visit again soon and highly recommended. Despite requesting alterations 2 days prior to having lunch at restaurant they once again argued with me regarding omitting seafood from the set menu. This happened last time too hence why requesting at time of confirming booking to avoid this issue. Too quiet for our group. Not suitable for large groups. Won't dine here again. Too frustrating as they are not accommodating at all. Had a lovely meal here, but I feel that the restaurant has lost a bit of the friendliness it used to have. We have been coming here for many years & feel its lost the charm it used to have. But the food is still great albeit a little on the pricey side. Took 15 minutes to get a beer which came out with the entrees. Great service and the food was amazing. We had set menu and the food keeps coming at a different times, so you can enjoy at your own peace the dishes. Excellent food, a good variety of Japanese dishes, perhaps a little rushed between a couple of courses but very worthwhile. Outstanding service and lovely restaurant atmosphere. It is a premium location so quite pricey even for a plain dish like chicken thigh & potato. 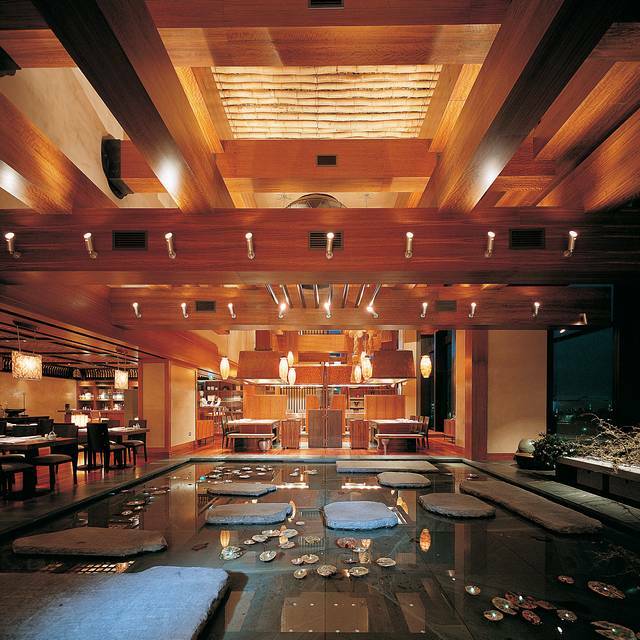 For true Japanese dining lovers it will be worth it with the range of plum wines & sake as well. Absolutely amazing, the food was phenomenal! Beautiful set up, feels like you’re in Japan when you’re in there. First time there of many more to come! Food and service. Stunning views.